Torklift is a licensed manufacturer and installer. Torklift's headquarters near Seattle, Washington is family owned and operated. Torklift offers state-of-the-art Auto-Cad and High definition CNC plasma technology keeping their engineering and design in front of the rest. The Torklift story begins in 1958 when Torklift founder Jon Kay began building the foundation of knowledge in manufacturing, fabrication, and retail that would become a Torklift signature years later at a local hitch and fabrication shop in Tacoma, Washington. Hitchweb is a proud supporter of Torklift in Canada and accross the USA. 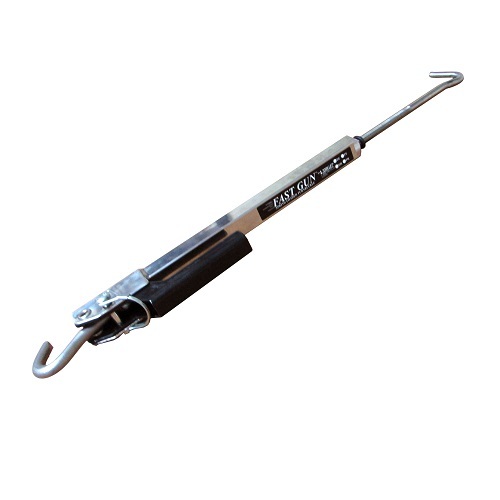 View all Torklift Tiedowns and accessories at hitchweb.com. Torklift offers a great variety of truck & camper accessories that will make your next trip safe and most enjoyable. How does the Torklift Glowstep Work? What is a SuperHitch? I Can't See Behind My Camper What is the Best Camper Tiedown Brand?